The Blue East side table is a perfect piece for a bit of stylistic flair that doesn’t look like it’s trying too hard. 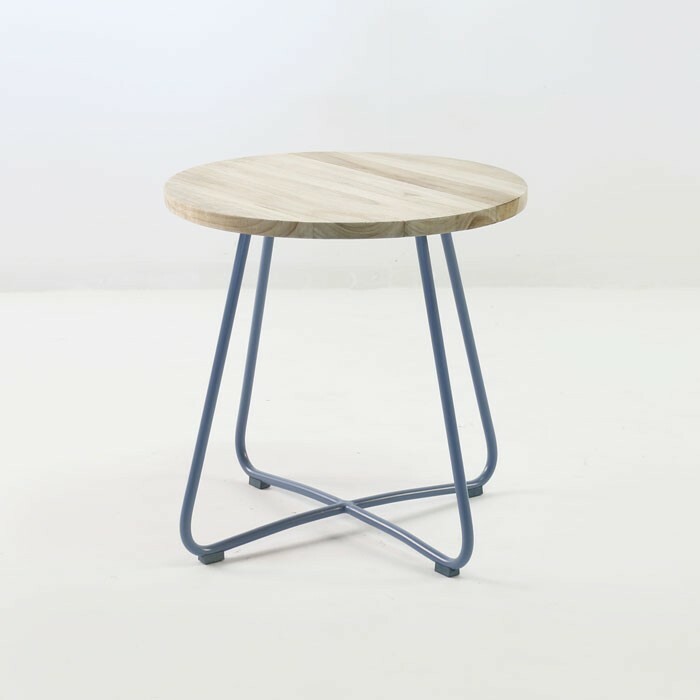 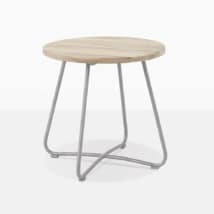 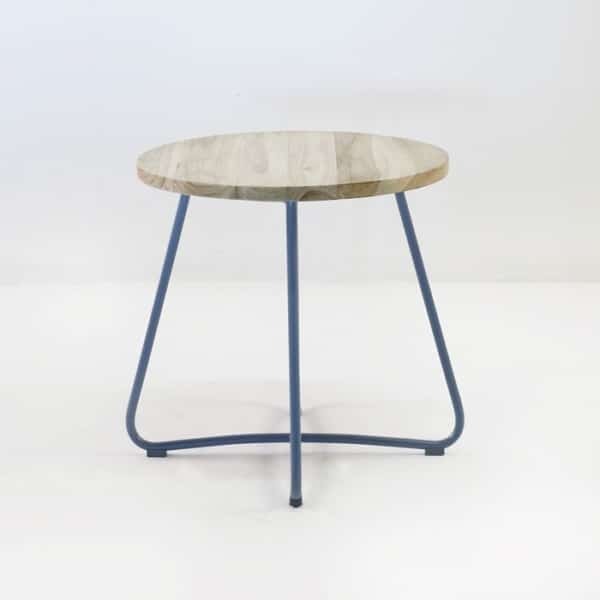 The blue accent is presented in the form of a powder coating on top of lightweight aluminum legs/frame, topped with a beautiful, chic table top made of teak driftwood, to give a homey feel and an easy harmonization to your space. 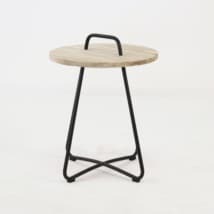 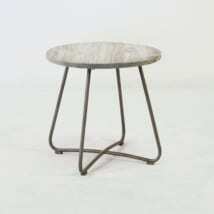 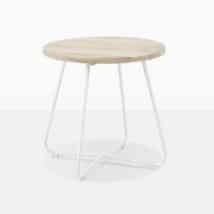 This side table is lightweight, versatile, and with a bold bit of flair to compliment (or contrast) your existing furniture. 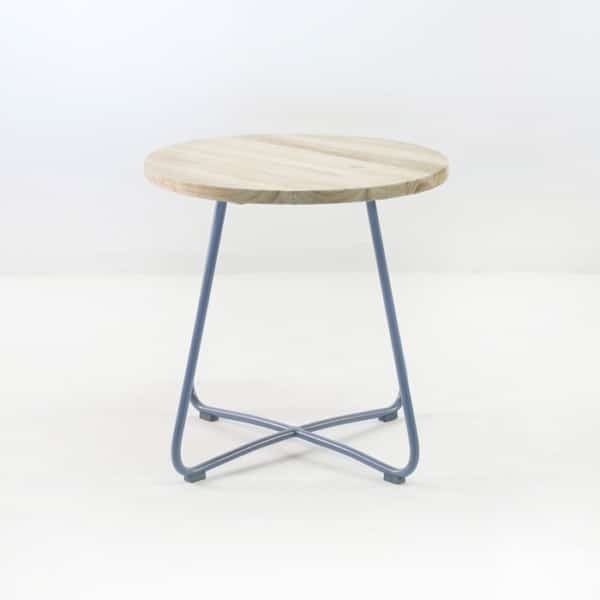 This is teak wood with a driftwood finish.